Kyrie Irving is OUT tonight; Marcus Smart should play. Kyrie Irving will miss tonight's game (along with Guerschon Yabusele, who is ill) against the Philadelphia 76ers in something of a banged-up rematch of the London Game, as Irving's shoulder is continuing to bother him despite a clean MRI earlier today. The 76ers, down their star of the Global Games, J.J. Redick, who is dealing with a leg injury of his own, are also down Richaun Holmes, who joins Yabu with an illness on the bench. Marcus Smart - also sick - is listed as probable for the match. However, this news is tempered by the results for the starters in the East, which include Kyrie along with DeMar DeRozan of the Toronto Raptors to fill out the backcourt, and Lebron James, Giannis Antetokounmpo and Joel Embiid of the Cleveland Cavaliers, Milwaukee Bucks, and 76ers, respectively. 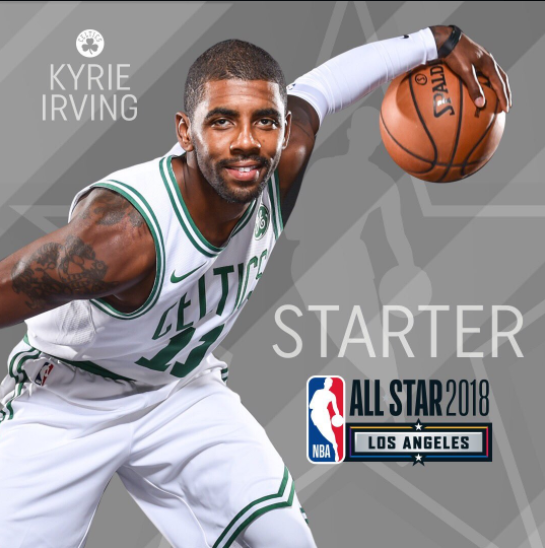 While the game tonight should be closer than Boston would prefer with Philly still having their All Star available, the rest is undoubtedly the right move for Irving, who will be seeing extra action while his teammates not selected for the All Star match will have time off - and, down Redick's floor spacing, the game will likely turn into more of an inside affair that Al Horford and Aron Baynes should be able to handle nicely. However that pans out, let's hope the shoulder heals fast for Irving - it's going to be very interesting to see how the new model of team-building works this year, and it would be a shame of Kyrie had to miss it to heal.